Approximately seven Dallas Area Members take Communion to hospitals and nursing homes in the area. Twenty Knights, Dames, and Auxiliary distribute food baskets to needy families during the Easter and Christmas holidays. 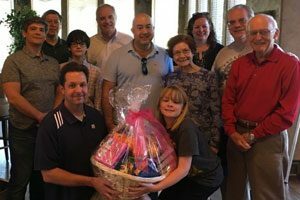 Members purchase food, organize and decorate baskets for the food, sort the food, and distribute food baskets to local parishes in the Dallas, Texas Area. Click here to see this project featured in the May 2017 Spirituality in Action: A Monthly Update. Eight members from the American and Federal Associations gather each Saturday morning to feed the homeless. Knights, Dames, and Auxiliary in the Dallas Area co-sponsor a retreat with the Federal Association for a Lenten Day of Reflection. Approximately ten to twelve Dallas Area members provide scholarships for children in need so that they can attend summer camp. Members support the scholarship program with individual donations. 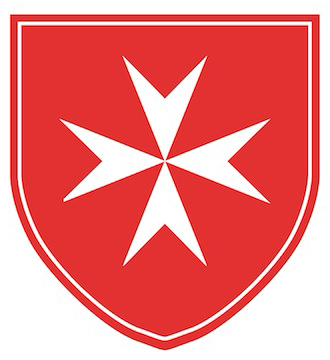 Twice a year, 10-12 Dallas Area Members provide a dinner and a discussion on the Order of Malta for Catholic students at Southern Methodist University after their Sunday 5:00 pm Mass. 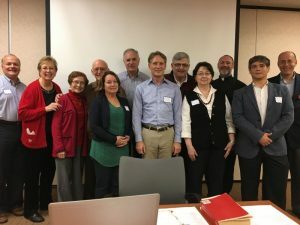 Members bring food for the dinner and lead the discussion for these Catholic students, the largest identified religious group on SMU’s campus. Annual Mass at St. John the Baptist Day at Christ the King Church. Look for this Mass on the American Association calendar.